All done in light, medium and dark Orange Cotton Fabric and light, medium and dark gray Cotton fabric. 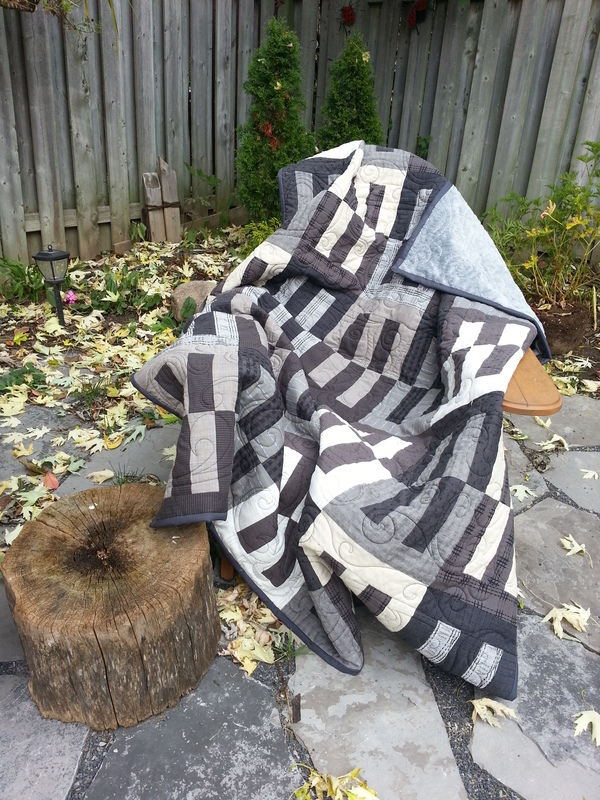 See previous post on this Log Cabin Quilt here! Love, Love, Love these colours!!! For the back I used this black soft and heavy Sued Minky fabric we have at the moment at The Quilt Store Sooo soft and cuddly great for any winter! 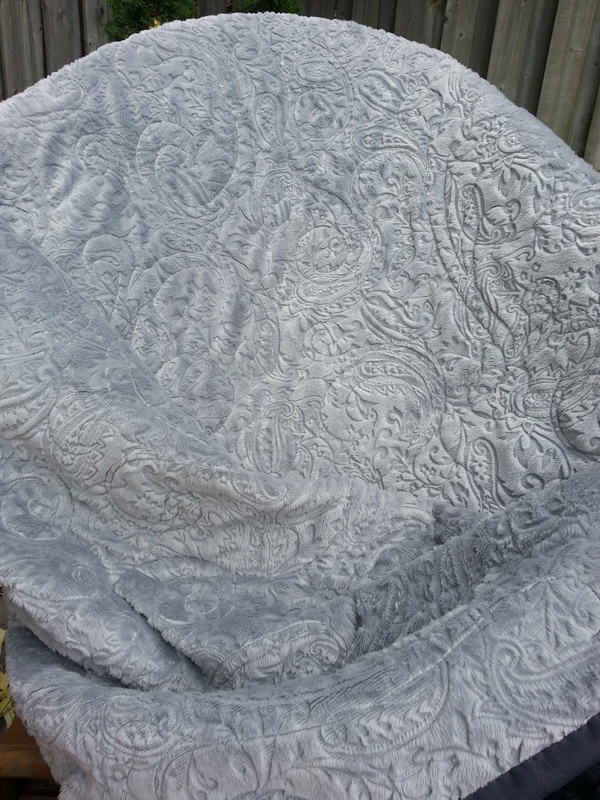 I free motion quilted this Queen Size 90″x 91″on the HQ Fusion at the store too … It is amazing what all the longarm machines can do when you program the patterns into them and have IT do the quilting. However, I myself like to work it in free motion so it is truly all done by my hands….well just not “hand sewn” I know ….smiles enjoy ahh and as for the binding. That is my absolute favourite last thing on the Quilt …Really like sewing binding on…just like my grandmother was sewing the napkins for soooo many, many decades. 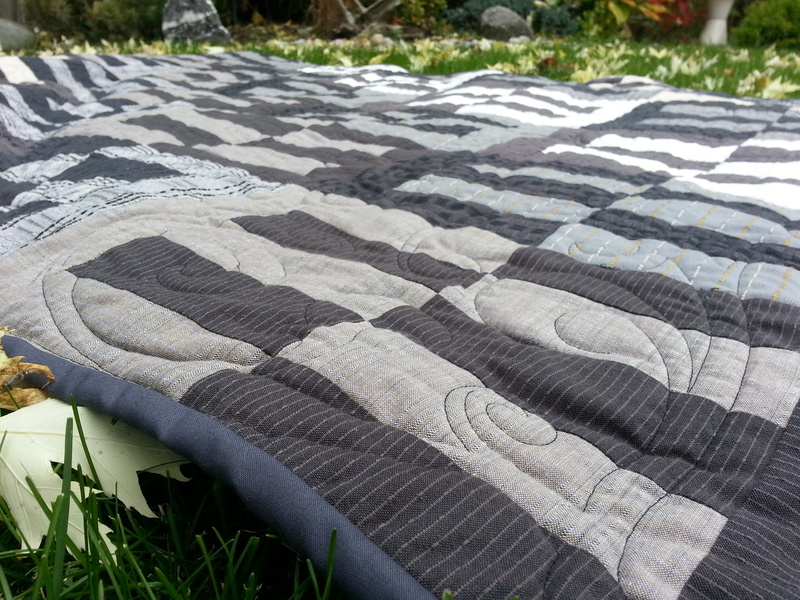 And if you really like this queen size quilt and like to buy it from me….just send me a note! 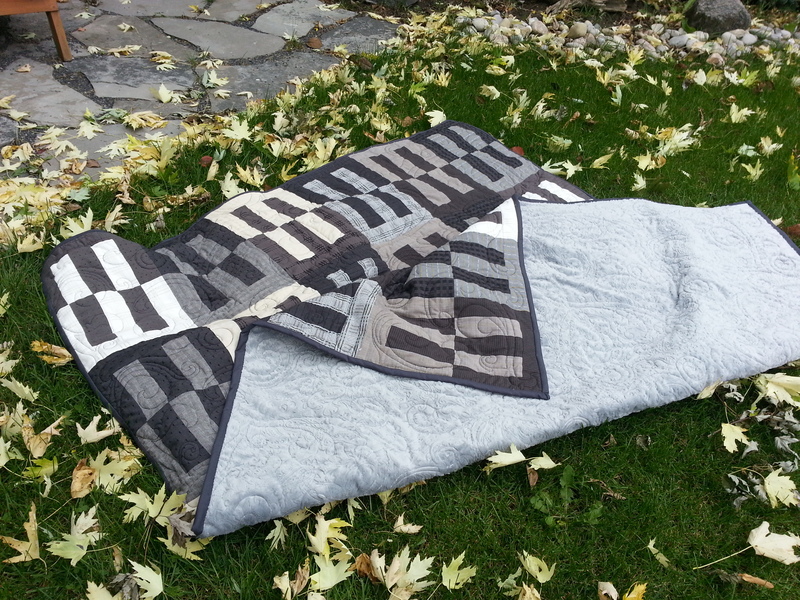 Log Cabin Queen Size Quilt 90″ x 91″ all done. Finally I decided to piece this Log Cabin quilt together. I have had this fabric for over two years in my stash….sounds familiar to You? The pattern is called “Fields of Furrows” All together 36 blocks in 10 hours …huwww. Done. Then sewing it all into one big Queen size piece by piece. Smiles, it would not go without a hickup….I had it all placed correct and still was able to sew one strip wrong so the howl section looked off. Undo my stitching and back together the right way…in no time. Entlich entschloss ich mich, diese Blockhauskabine Quilt zusammenzusetzen. Hatte den Stoff schon bals zwei Jahre in meinem Kasten, doch dass kennt Ihr sicher auch…. Das Muster heißt “Fields of Furrows”. Ganze 36 Blöcke in 10 Stunden … huwww. Erledigt. Dann nähte ich alle in einem großen Queen-Size-Stück für Stück. Lächelt, es geht ja nicht ohne ein hickup …. Ich hatte alle korrekt platziert und doch kam es dazu dass ich tatsächlich immer noch einen Streifen falsch zusammen nähte. 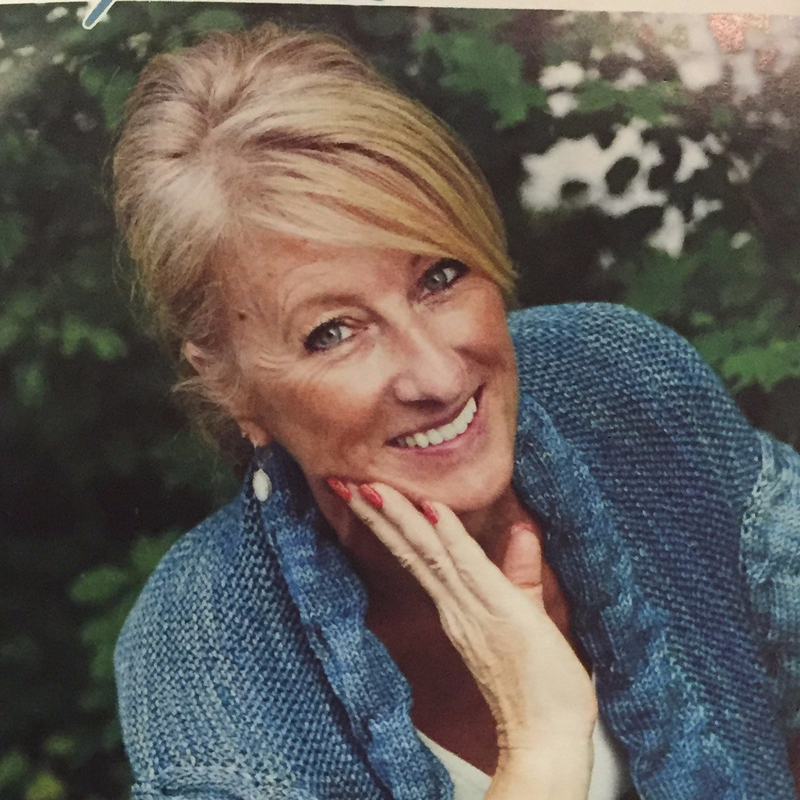 So hiess es auftrennen und wieder richtig zusammen Nähen … in kürzester Zeit. Sooo sweet ….perfect little gift for a Baby Shower. All finished up in less than 3 days…cut, pinned, sewn all around the bunny, “Bambi”, birdhouses, fox and along the tree/trunk ….So much fun. Sue really enjoyed sewing this one up quickly for You. Thanks for the honours. 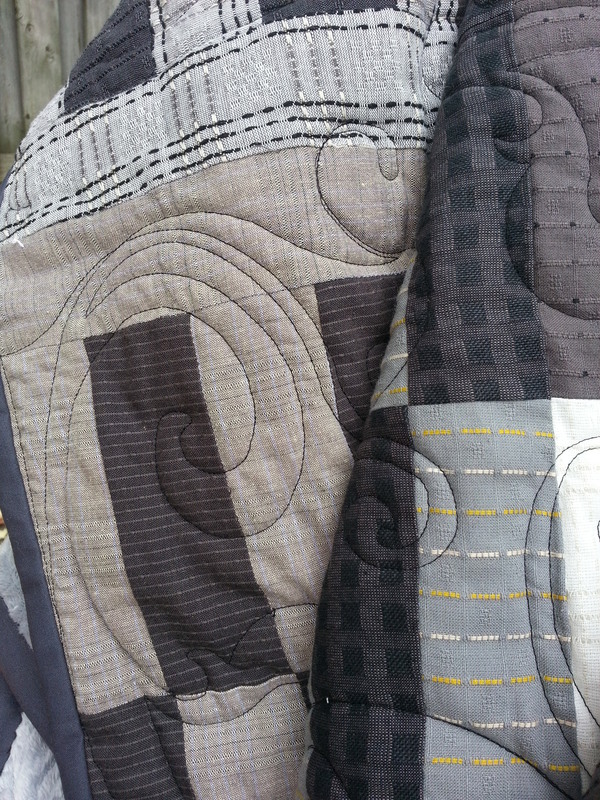 Used a homespun fabric for the back…..Love, love, Love this panel. Really hope we get some more of this panel for Northcott in as this quilt already has found a home….Little sweet baby Boy hope you keep warm and snugly once You arrive to your wonderful World…. Sooo süß …. perfektes kleines Geschenk für eine Baby Welcoming Party. Alle fertig in weniger als 3 Tagen … Schnitt, gemerkt, genäht ganzen Hase, “Bambi”, hunnypots an der Baum …. So viel Spaß. Ich benutzte einen homespun Stoff für die Rückseite ….. Liebe, Liebe, Liebe dieses Panel. Nun hoffe ich wir werden noch mehr von den Stoff bekommen da dieser Quilt schon jemanden gehört. Kleiner sweetheart hoffe dieser Quilt wird auch dich warm halten wenn du in die Welt kommst…. 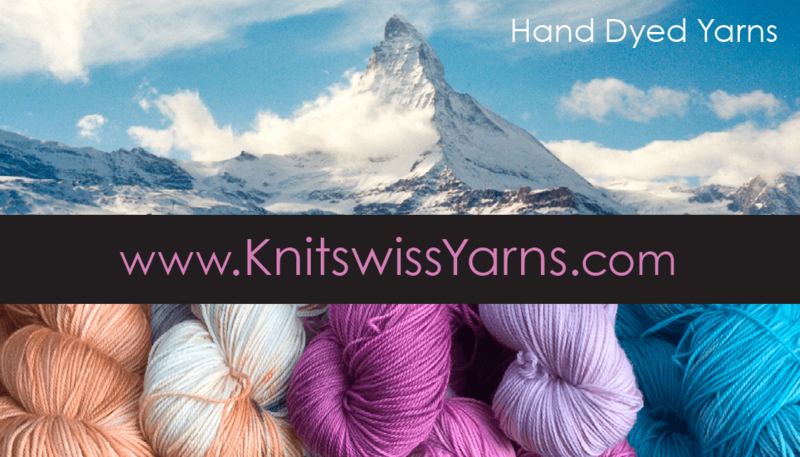 All sewn up and raw edges cut…of into the wash and dryer times two…. and voila all gorgeous to cuddle up in. A gift for someone special ….